We will be open Christmas Eve day from 9am-4pm and closed on Christmas Day. We will resume normal business hours on Wednesday at 9am. For New Year’s, we will be open New Year’s Eve from 9am-4pm, and closed on New Year’s Day. See you bright and early on Wednesday, January 2nd at 9am! Stocking Stuffers for $5 or less! Follow just a few easy guidelines to keep your pet safe during the hectic holiday season! Check out this article by Dr. Becker: Holiday Safety Tips for Pet Lovers. Kenya and Nova are featured here today! Click on their photos to see their full profiles and more pictures. Meet Kenya! 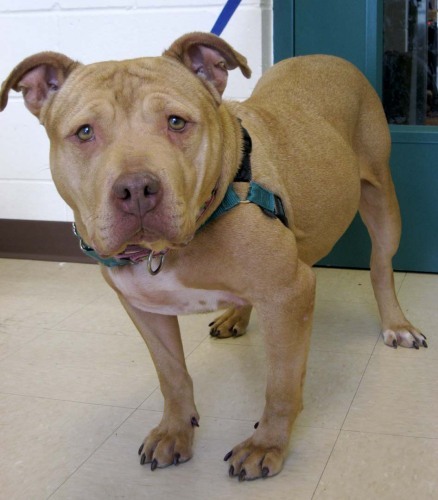 She’s an adult female pitbull who came to us in August as a stray. To be happy she needs to be in a one-dog household. This is Nova. 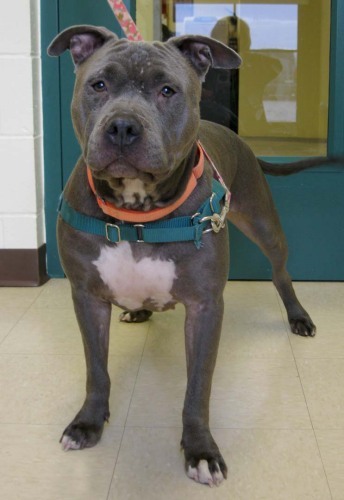 She is an adult female pitbull brought in as a stray but the owner couldn’t reclaim her. She does well with some dogs but not others. A Note from HAWS: Both of these girls sit in their kennels and wait patiently for the right homes—and it is frustrating because not just any home will do for these special pups! Owner education and training for both owner and dog are the keys to making life with any dog work. As you know, we’ll be there every step of the way with any new loving homes. Dr. Claudeen working with a trainee :)Dr. Claudeen Mc Auliffe from HAWS will be in Mukwonago every third Thursday of the month to answer your questions on behavioral issues and offer techniques and supplement suggestions that may help. She will also be in Pewaukee every fourth Thursday. Dr. Mc Auliffe will NOT be at either store in January. 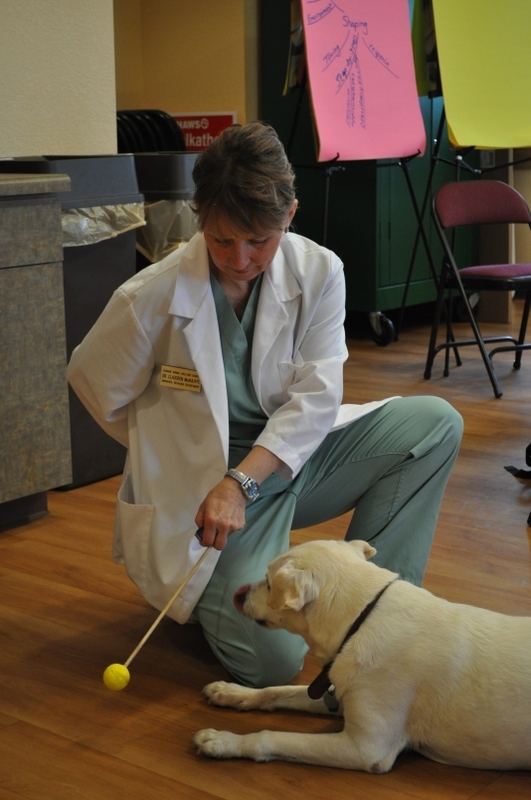 Dr. Claudeen Mc Auliffe, Ph.D., M.Ed., CAP-2, CDBC, manages the Behavior Department at the Humane Animal Welfare Society in Waukesha, WI and is an adjunct faculty member in the Biology Department at Carroll University, Waukesha, WI. She is a Certified Dog Behavior Consultant (IAABC) and a certified Level 2 Tellington TTouch® practitioner for companion animals. Dr. Witte’s next visits will be December 27th, January 10th and January 24th. December savings WHILE SUPPLIES LAST! Have a safe and joyful holiday!